If you have a car that you don’t like driving around because its old, or you have one that’s been wrecked and you can’t fix, you could junk it for cash. Cars are the most recycled product in the world. Why not make some cash off of something that you don’t want anymore. 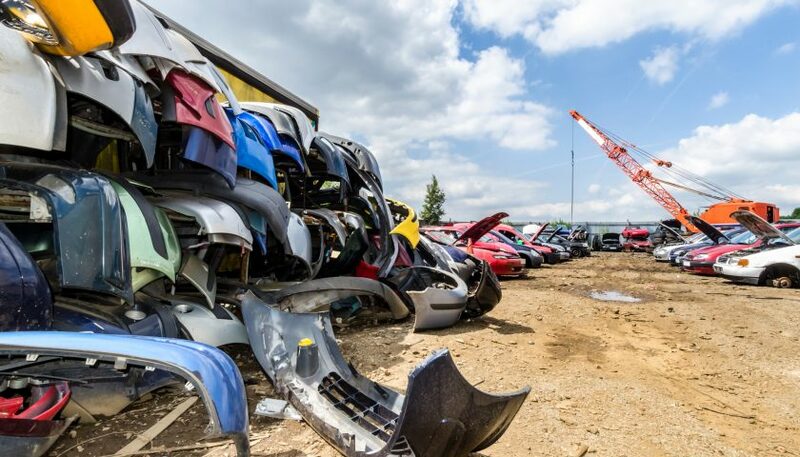 Even if your car has been damaged in an accident, it can still be worth money to a junk or scrap yard. We’ve put together a list of 10 things to help explain how to salvage a car. As you get ready to turn your car over to be scrapped you need to be ready. You need to know the year make and model of your car. It also helps to walk around and write down any damage. It won’t necessarily count against you, because junkyards will take damaged cars. They just need to know what to expect when you call them. You’ll also want to write down anything special about your car if it has a GPS or sound system that you are leaving in it. We also suggest finding all of the local junk and salvage yards, the more you have the better your options are. You might want to look at the neighboring cities too, especially if you live in a smaller town. You’ll also want to clean out all of your personal things, you don’t want to leave anything behind. Kelley Blue Book is a great resource for finding out how much your car is worth. Now granted, KBB will give you the cost of a car in good condition and market value. When you are junking a car, you won’t get market value. It’s still good to have a general idea of your cars worth before you start calling junkyards. We don’t suggest that you do this until you have all of the details about the car you would like to sell to them. They will have questions for you, but they shouldn’t be the only ones asking questions. You need to find out if they do the dismantling themselves, sometimes they will give you more cash if they don’t have to. 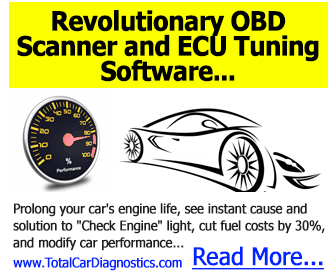 This is only an issue if your car isn’t running, if you have a running car then they most likely won’t be dismantling it. We also suggest that you find out all of the paperwork that you will need when selling them your car. It’s always best to have everything all together. It’s at this point that you want to be clear on how you will be paid. Make sure they know you are interested in a Cash Auto Salvage, that way you’re not leaving without your car and without the cash. As you’re calling around, keep a list of all of the prices that each yard has quoted you. This is just like everything else you do, you’re going to want to shop around to make sure you are getting the best price. Call the cities around you as well, even if you don’t want to go that far from where you live, the more prices you have to compare the better off that you are. It will also help you to know what the rate is for scrap metal, this will affect how much your car is going to be worth to the scrap yards. Demands for different makes and models can have an effect on how much your car is worth. If it’s in high demand in your area, then they can make more off of the parts, so they pay more. However, don’t fall for the line that your car isn’t worth as much since it isn’t in high demand. Scrap metal is scrap metal, so even though if your car is in demand you’ll make more, you shouldn’t make less if it isn’t. The junkyard or scrap yard will need to see proof that the car is actually yours. This is most easily done by providing them with copies of your title and registration. When they pay you for the car you will need to sign over the title to them. So, if for whatever reason you don’t have it, you will need to get it. This also means that if you still owe money on your car, you can’t junk it. Because in that case, you don’t technically own the car and you don’t have the title to sign over. Each state will handle this a little differently. You will need to do a little research about how your state handles it. In general terms you will need to fill out salvaged auto paperwork, sometimes it’s called a damage disclosure statement. You will also need to return the license plate after it’s been turned over, so make sure not to leave this with the yard. The yard should also be able to give you some guidance about what you’ll need to do in regard to the DMV. You should never feel pressured to sell your car. If when junking a car the yard shouldn’t be applying and undue pressure. A professional junkyard buyer will understand that you’re getting other quotes and might need some time to make a choice. If you are feeling pressured you are more likely to accept tell than what your car is worth. Also, be prepared to walk away. Sometimes less than reputable junkyards will try to offer you less then they quoted you at. As long as you were honest about the condition of your car, they should honor the price they quoted you. One of the more obvious things is to make sure your stuff has been cleared out of the car. Something people don’t think about is more detailed cleaning. When you junk your car, every part of it can be used. For instance, if you have a leather interior you should condition it. The better it looks the more likely the junkyard will be able to use it. Also, make sure that you clean out all of the trash and vacuum the flooring. We know this might seem a little redundant, but it can help get the most cash for junk cars. Junkyards will give you more money for a car that works. So make sure that if your car is in a safe drivable condition, drive it into the junkyard. Also keep in mind that if the yard has to come to pick it up, it will cost them money. That means that they will end up taking that from the cash that they offered you. If it’s not drivable, then consider getting it towed to the junkyard on your own. Most times, the yard will charge you more than the tow actually cost them. It would be best to cut out the middleman. You want to make sure that the title did actually transfer to the junkyard. If there was a problem transferring the title then you are still responsible for the car. You need to make sure because that means if anything happens with the car then it will be or liability. It should take about a week for the DMV to process the transfer. After a week has passed call, or visit the DMV to make sure everything went as planned. There’s no reason to hold onto a car that you no longer want. Even it’s been damaged in a car accident and doesn’t run any more junkyards will still give you cash for it. Make sure to check scrap metal prices and know what the Kelle Blue Book price of your car is. Check around to make sure you get the best offer before turning over your car. Most of all, don’t allow yourself to be pressured into taking less than you know it’s worth. Be willing to walk away if necessary. If you want more car advice or info, look around our website. We have a lot of blogs that can help you.